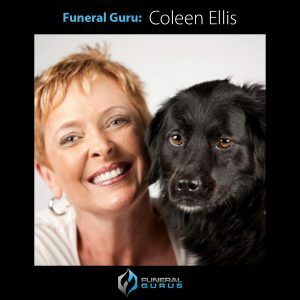 Coleen Ellis of Two Hearts Pet Loss Center in Greenwood, IndianaÂ shares her insights into the incorporation of pet loss services into regular funeral home offerings. She also shares some tips of how you can test the waters with your community about pet loss this September and also lets attendees know what they will learn at her presentation,Â “Pet Loss Services and Your Funeral Home: Co-branding to Create Success”Â at the 2013 NFDA Annual Convention. Interview byÂ Robin Heppell,Â CFSP.